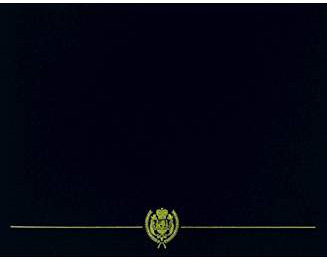 An unaltered photocopy of your Report of Separation (DD-214) which displays or indicates service after 1 January 1983 in any of the following countries: Afghanistan, Bahrain, Egypt, Iran, Iraq, Jordan, Kazakhstan, Kuwait, Kyrgyzstan, Lebanon, Oman, Pakistan, Qatar, Saudi Arabia, Syria, Tajikistan, Turkmenistan, U.A.E., Uzbekistan, Yemen. United States and military personnel or all Coalition States are eligible. 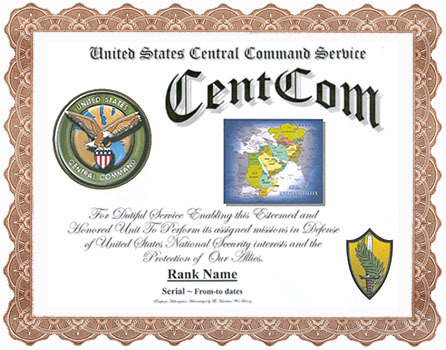 Authorized to all military and civilian personnel of Coalition Member countries in service with or under command of the CentCom's Area of Responsibiity (listed below) between 1 January 1983 and the present.